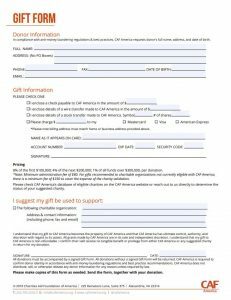 Donor Advised Gifts (DAGs) are the perfect solution for US donors who want to give globally without establishing a Fund at CAF America. DAGs enable all types of US donors, including individuals, foundations, and corporations, to make single donations as desired. 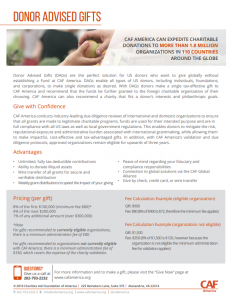 With DAGs donors make a single tax-effective gift to CAF America and recommend that the funds be further granted to the foreign charitable organization of their choosing. CAF America can also recommend a charity that fits a donor’s interests and philanthropic goals. PODCAST: Giving to China Made "Easy"?